Finishing off the special range. Shortly after getting a look at the Jordan Future and Air Jordan 3 from the “Quai 54” 2018 collection, images of a Why Not Zer0.1 Low from the special range recently surfaced. Rounding up the special collection, the colorful take on Russell Westbrook‘s latest signature shoe is the final part of Jordan Brand’s celebration of its annual basketball tournament. 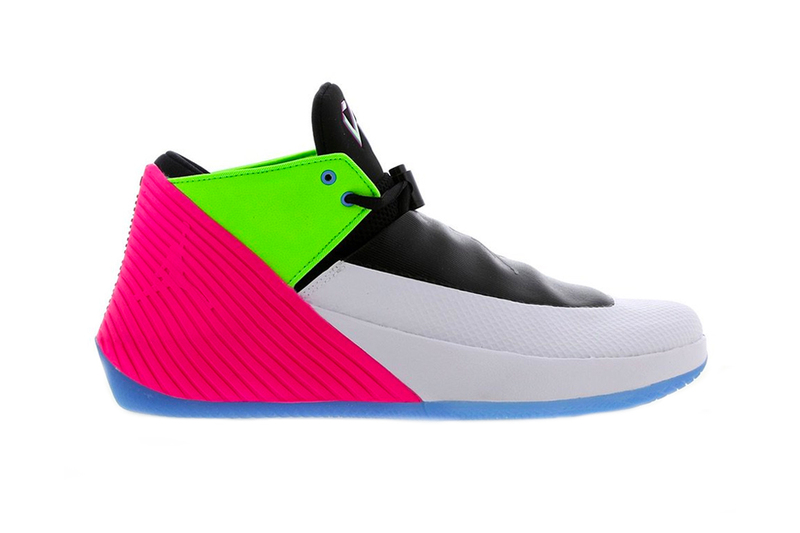 Continuing the bright tones of the “Quai 54” 2018 collection, the Why Not Zer0.1 Low “Quai 54” features a black and white upper, framed by alternating pink and green panels. A translucent blue rubber outsole elevating the court model along with Jumpman logos on the tongue and insole serve as the main branding. Priced at $120 USD, the Why Not Zer0.1 Low “Quai 54” is set to release at select Jordan Brand retailers on June 30. For more Jordan Brand, learn more about Don C’s Jordan Legacy 312 dropping this July. Pharrell Unveils James Harden's Exclusive adidas Crazy BYW X "MVP 13"
Another special shoe for the newly-crowned MVP. Tonal black and python skin options available. Kicking off the next-gen Hyperdunk model.